In every photographer’s career, there comes a time when photographs must be displayed in a printed format. While many industry leaders say that the world of printing is daunting, they also explain that inkjet printer providers such as Espon and Canon have propelled us into the golden age of printing. 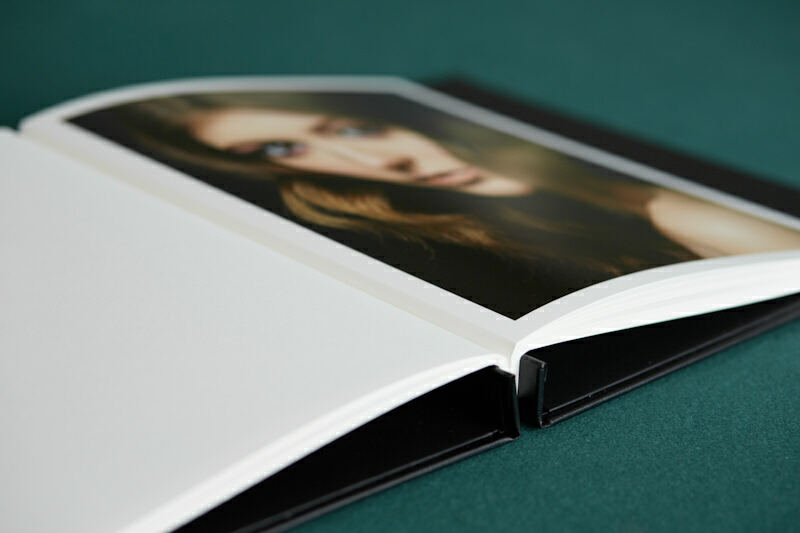 Inkjet printers coupled with the wide variety of paper types and sizes gives creatives the ability to create prints that conform to their unique specifications. In this article, I am going to answer some of the questions many photographers have asked as they entered the world of printing. In this article I hope to give insight and answer some questions that I asked when I began printing photos. By answering a few critical questions before you begin printing, I am going to save you some time and money. Most importantly, you will become a more versatile creative. Should you do it yourself? Or, should you outsource? If you decide to print from home, you will encounter a practical learning curve, in addition to the upfront costs of a printer. If you outsource printing projects to professional labs, you benefit from the years of experience that has been accumulated by professionals. Your budget, your schedule, and your dedication to learning the skill of printmaking are the factors that you should consider before attempting to print your own photos. 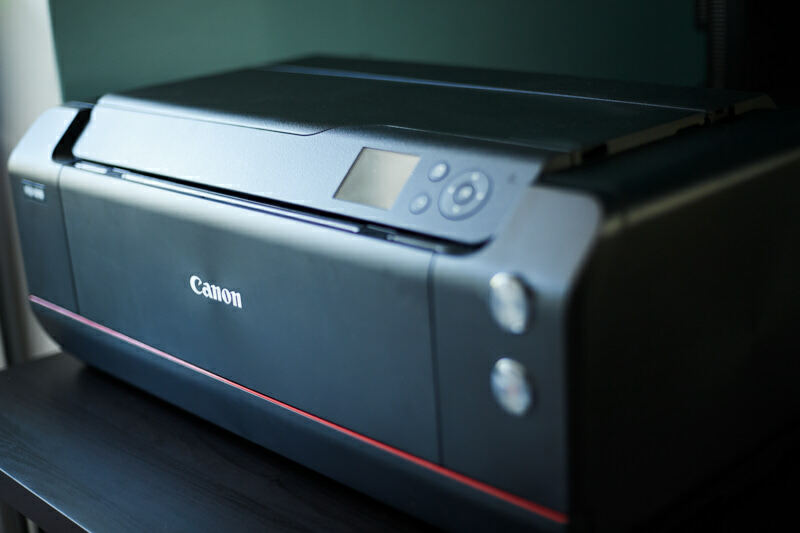 The knowledge and information required to operate an inkjet printer is out there, but we all know how tedious it can be culling through endless forums and YouTube channels. Even though it will be time consuming, it will be to your benefit to get a working knowledge of post processing, ICC profiles, and paper types. You may be in a situation in which you need high quality prints fast. If that is the case, I would recommend going to reputable local printer. Whether or not you should invest in a printer is far from a guac or no guac call. Printers can range from $150-$10,000, but this article targets those photographers who have a budget $150-$1500. The more premium 17” wide desktop printers cost about $1,500, higher end printers that have increased capabilities will cost more. Before buying a printer, you should be aware of its output capabilities. I own a Canon imageProGraf Pro-1000 17”, so I must outsource any prints larger than 17” x 22”. So why would you print at home? 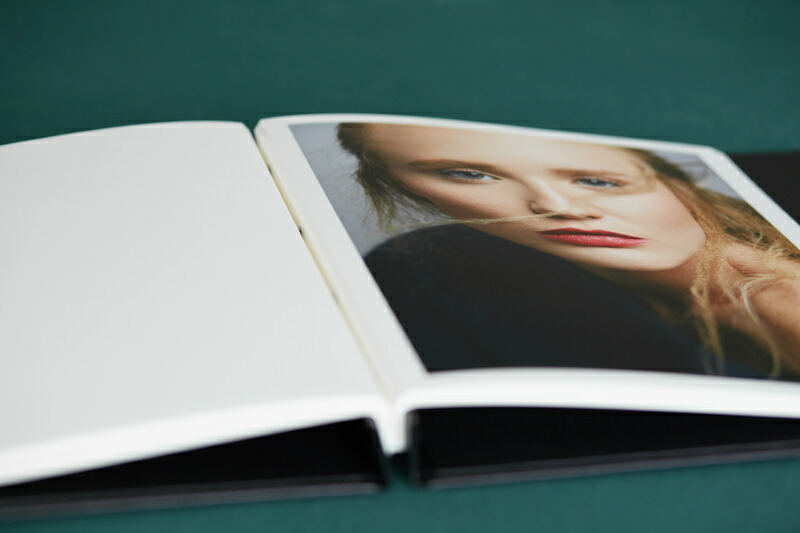 When you print your own images you are in full control of the printing process, the cost per print is lower, and you have the ability to print on demand. Full control of the final product is very important to me. I want my final images to look exactly how I envisioned. After investing thousands of dollars into camera gear and computers, I am meticulous when capturing images. To hand over my retouched images to an outside printer might cause my vision to be lost in the process. In my side by side comparisons, the prints I created at home were far superior to those prints that were produced at the printing lab. Jared Pollin of Fro Knows Photo got similar results in his real world review of the Canon Pro 1000 https://www.youtube.com/watch?v=f38Q2SdL4C8. When printing from home, the cost per print is lower than the cost per print at most labs, which means that you will save money in the long run. Canon’s Accounting Management Software enables you to see how much each print costs down to ink consumption by color. For this example lets assume our portfolio has 45 11” x 14” images, we are printing on the Canon Pro 1000, and we need 2 boxes of Hahnemuhle FineArt Baryta Satin Paper. All items are purchased from B&H. Currently B&H does not charge taxes for items shipped to Philadelphia so prices may vary. Lastly, we are making a big assumption that each image only takes one print. Labs will sometimes give you a small discount for reprints. By small I mean you will have enough money to grab something off the dollar menu for lunch. If you need labs to reprint images, the costs can go up very fast. As a way to compare the cost of printing from home to the cost of printing at a lab, I created some prints and calculated the average cost per print. Next, I checked the price list of two local labs and one lab located in Portland, Oregon. I used used the average price from the three different labs as a price comparison mechanism. The chart below shows the results of my comparison. One more advantage that printing at home gives you is the ability to print on demand. Weather it’s printing for clients or creating gifts, there is nothing like running off some last minute prints. I like to give prints to team members before shoots. If we have worked together multiple times, I like to surprise them before the shoot with signed prints from our last project. This small gesture instantly changes the atmosphere on set. When I first embarked on this process, I did not understand paper at all. What paper do I use? Should my paper be fine art or RC? Should I go with a canvas, matte, or semi gloss paper for my book? With ink jet printers we have endless media types from many reputable brands. Most paper brands on the market cover a wide range of options. I would select a brand that has canvas, matte, and semi gloss options. If you like a matte paper from one brand and semi gloss from another brand, that is fine as well. Choose a brand you like that is within your budget first and foremost. There are people who test paper all day long and write extensive articles on the topic. Here are some great references for that subject. 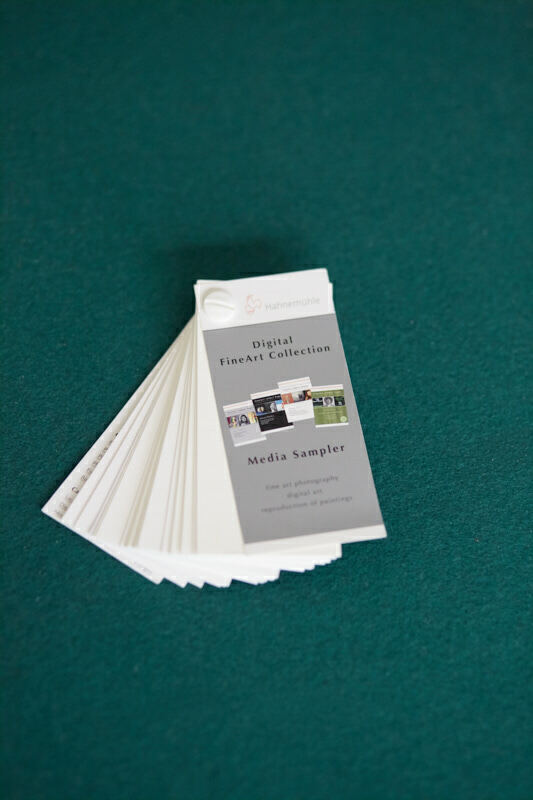 A media sampler is book of all the paper a company offers. Think of paint swatch books you would get from a home improvement store. What is good about this is you can feel each paper. How a paper feels to the touch is a key component in the selection process as well. On each sheet you will have the paper name, weight in gsm, material, color, and finish. Should you go with fine art or a resin coated paper (RC) paper. This is a very personal decision for a printed portfolio. First let’s try to briefly explain the difference between fine art and RC papers. The key difference is the actual materials that go into to making these papers. Fine art papers are made of natural fibers such as cotton (linen and/or cotton fibers) or alpha cellulose (wood fibers). These papers are designed to be archival and stand the test of time. To achieve this, the papers are PH balanced and tend to not have optical brightening agents (OBAs). Fine art papers do not normally have the bright white look. They are a bit yellow or off white. I only noticed this affect when I did a side by side comparison between prints on fine art paper and prints on papers with OBAs. I don’t want to go too deep into OBAs: you can find endless arguments online over the topic. The argument for not using OBAs is that over time paper with OBAs will fade and the paper will start to discolor. We have all witnessed this discoloration in old family photos. So if you are a fine artist selling prints for hundreds of dollars you don’t want clients’ images to change color over the years. There are fine art papers that have moderate amounts of OBAs in them and still claim to be archival. I use fine art papers with no OBAs. RC papers are what you get from you traditional print lab. In short, this is paper sandwiched between two layers of plastic. RC paper is affordable, prints on them look great, and you have the option of printing double sided glossy prints. If your portfolio is getting handled a lot and you have to reprint a lot, RC papers can be a great option. 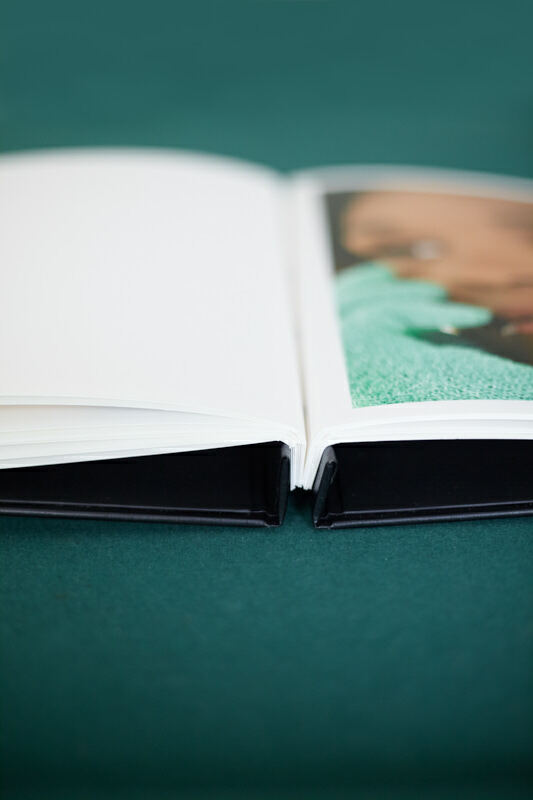 My portfolio is a Pina Zingara Verenna Screwpost Binder 11×14 Portrait book with embossed logo. I’m using Hahnemuhle FineArt Baryta Satin Paper scored and punched by MC Printing here in Philadelphia. My images are printed at home with my Canon imageProGraf Pro-1000 17”. The only downside to my book in my eyes is I don’t have the ability to print double sided. The double sided options available didn’t meet my quality standards for my work. Also, there is no satin double sided option in RC or fine art on the market right now. This is a trade off I’m willing to accept. I love my book! There is a lot to think about. Hopefully this information helps you decide how to prepare your photography portfolio. If you go to 20 people, you will get 20 different opinions. Ultimately you are the artist and you must come up with the best way to display your vision. You missed a word. This was beautifully put together thank you, thought you would like to know. Thanks for reading and the good eye.